Starting to think about Foo camp at the end of the week… Paul Gold and I will be up there, looking forward to geek out and catch up with people from around the country. The NZ Summer of Code (SoC) programme is about accelerating the development of students to create a smarter graduate pool for NZ. The SoC has been extremely successful within two years, we’ve been able to able to employ 40 students into 19 companys. The programme has gone from strength to strength in Wellington. Now it is attracting attention from other cities such as Auckland and Christchurch. We’re now looking to expand the program nationally. We’re starting talk to a number of stakeholders – Foundation for Research Science and Technology, Dept of Labour, Universities, Companies, Sponsors, other internship programmes and Students about taking Summer of Code to the next level. To kick this process off, I’ve approached John Hoskings of CSI Academy (an Auckland university internship initiative) to hold an informal meeting of the interested parties to come and talk about student internships in Auckland on the 30th of Jan.
Also, Paul Gold and myself will be at Foo Camp over the weekend to talk about what needs to be done at a national level to create a strong graduate pool. I’m giving a free seminar tomorrow (Tuesday 22nd of Jan 12pm) at Rutherford House, Wellington as part of Summer of Code on website optimisation. Tools to that can help you tune your site. If you’re interested RSVP on the forum. I have been slowly catching up with my blog reading and I was quite distressed to read Zed Shaw’s ferocious ‘rant’ yesterday – Rails is a Ghetto. Zed was the creator of Mongrel and well respect programmer. Unfortunately, he felt spurned and has vented for all to see. Not only has he taken off the gloves and he’s using piledrivers and bodyslams to make a point. Its really unfortunate, that he’s chosen this way to deal with it. The internet is forever, he’s burned napalmed a number of relationships in the process. After reading his rant, I can understand his point of view and agree with some of his observations . Unfortunately, the general tone of article is of hate and anger, which negates all the good points he had to say. This also reminds me that we live in a small world, if you say or do stupid stuff, word gets around and it can come back to bite you. I’ve been on both sides of this type of gossip and its not fun and only shows how petty people can be. We’re all affected by our emotions and it takes more courage to do the right thing. I have just finished reading Nelson Mandela’s “Long Walk to Freedom”. All this seems pretty trivial when you compare that kid of struggle. But it has some parallels, it highlights how important communication is when trying to get anything major done. As with life you’ve got to be able to make compromises to ensure you can meet the ultimate goal. If you do spend your time in flame wars then no good will come of hit. Someone has to have the balls to make the first move and make things happen. 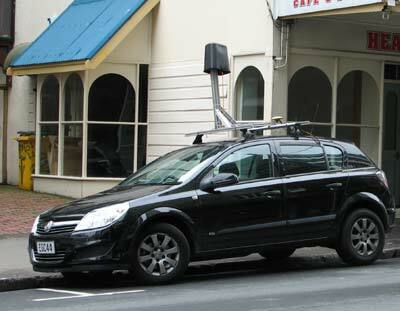 So what else are Google doing with their street maps cars? War-driving Wi-Fi connections: There are numerous open-source kits to sniff Wi-Fi connections and plot them on a map. Capture altitude information – With a decent GPS they could capture the altitude above sea-level of the road. I wonder what else could they be capturing?? This morning, we migrated ZoomIn from rails 1.2.3 to rails 2.02 . The process was relatively painless. Its running about 10-15% faster than previously rails from the initial testing and it fixed the mysterious comma bug that affected rails routing. We had a couple other things that we found. First, when upgrading to capistrano 2, you will need to make sure that you use the right namespaces for steps that you have customised for the build recipe. Also, be wary of upgrading to RMagick 2, it requires a newer version of Imagemagick beyond what is default package for debian and ubuntu and RMagick has some compile problems as a result. We reverted to older version of RMagick to solve. We’re in the process on migrating the rest of ProjectX applications over the next couple of days. Spotted in upper Willis St today: a car with some interesting apparatus on top, and until moments before this photo was take, a very familiar logo on the side. Looks like we may be seeing a new view of Wellington streets on the web some time soon, and we’ve heard that similar vehicles are cruising the streets of Christchurch as well.